It is December 1939. In a lavish apartment in Antwerp, Belgium, 9-year-old Claudia Rossin, along with her parents, relatives and others, are listening to a Polish refugee taking about the Nazi invasion of Poland and the horrors that they brought with them. But Claudia doesn't fully understand the implications of Anton's story. She is far too wrapped up in her unhappiness at being under the thumb of a detested French governess whose job it was to turn a very head-strong girl into a perfect social being. And then in May 1940, despite Belgium's declarations of neutrality, the Nazis march in and before Claudia knows it, they are living under German occupation. But Claudia's parents, Max, an insecure Polish businessman despite his success in business. and Suze, a socialite who knows and likes to entertain all the right people in her salons, remind blind to what is happening, despite being Jewish. In October, racial standards and registration of all Jewish are imposed. Suze goes to the Kommandant and manages to charm an extra two months out of him before they must register - two months to plot the family's escape. And she does - charming the Salvadorian consul into signing questionable visas. Armed with these questionable visas to El Salvador, the family travels in a first-class compartment of the Brussels-Paris Express. But Paris that winter isn't wonderful and then, in June 1940, the Nazis arrive. The family is ordered to leave France within 24 hours. They head for Spain and board a boat heading to Havana, Cuba. They have escaped in the nick of time - soon roundup and deportations of Jews would start in Belgium along with the rest of the Europe's Nazi occupied countries. For Claudia, the two best things about Cuba are the warmth and no more French governess. She is enrolled in a private Catholic school and, because of her blond hair and fair skin, accepted and welcomed by the other girls, never letting on that she is Jewish. Away from the stresses of the war and the Nazis, life becomes more routine - school, parties, friends, fighting with her mother, trying to become a grown-up. And after a few years, Claudia meets and finds herself attracted to a boy at a party. Dieter Müller was born in Havana to German parents. Claudia lets him believe she is also an Aryan German, born in Berlin: We are the perfect pair," he whispers to her. Dieter is awed by the Hitler Youth, and Claudia tells him she used to dream about being picked to present flowers to the Führer. On the surface, it does appear that Claudia and Dieter are the perfect pair, or are they? 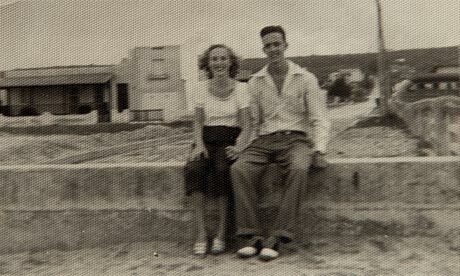 Passing through Havana is an interesting look at the Jews who managed to escape to Cuba. The novel is based on the author's real experiences as a young girl. Claudia is a bit of a spoiled brat and Rosshandler's depiction of her conflicts with her mother and how they impact some of her youthful, rather defiant decisions are spot on. But this is a coming of age novel, so it is a bit of a roller coaster ride towards maturity, as Claudia discovers who she is and begins to see reality without the romantically tinged rose-colored glasses of her pre-adolesence. I really enjpyed reading about Cuba in the early 1940s and the experience of the Jewish community that formed among the refugees. I don't know of many books about European Jews who fled to Cuba. In 1939, only those with landing permits were allowed to disenbark in Cuba when the St. Louis arrived there. The Rossins disembarked with the landing passes for El Salvador, with the intention of remaining in Cuba only until they could get to the United States - which finally happened after the war, hence the somewhat ironic title Passing through Havana. Rosshandler also paints a very interesting picture of pre-Castro Havana among the upper class in her book. Most of us don't remember that Cuba once had a striated society and there were some very wealthy, educated people as well as very poor. 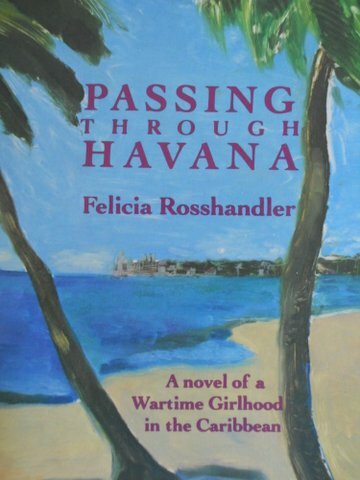 Originally published in 1984, Passing through Havana is now being reissued as a Kindle book. Passing through Havana should probably be read by more mature teens due to some sexual content. Interesting to read about this. I knew about the St. Louis but did not know some European Jews had actually managed to find shelter there. Thanks, again for informing me, Alex. I thought this was also interesting for the same reason. I knew Havana was a real hot spot for Americans to visit, but had no idea that Jewish refugees had gone there as well. Of course, the meant only the lucky few who could get visas. Fascinating and informative discussion on my local NPR station yesterday. Thanks for this information. It was very interesting and again, something I didn't know about. I like this book for two reasons: I have never read a book about Cuba, secondly, I didn't know some of the Jewish people fled to Cuba. It's always more to learn about the Holocaust. I thought the same thing when I read this book. So interesting to know and it seems there is always more to learn about the Holocaust, don't you agree? What a coincidence to find this review since I just found and read the biographical article from the Guardian yesterday. I'll look out for this book. Thanks for your review! That is a coincidence and on Felicia will be happy to see, I'm sure. It is an interesting book and I hope you do read and enjoy it.